Let the School of Fishing show you why Carsington Water offers the fly fisherman some of the best boat fishing in Derbyshire. It is situated on the edge of the Peak District in the heart of the stunning Derbyshire countryside. Fishing from a boat is always the best way to explore a water and hunt out those fantastic trout. 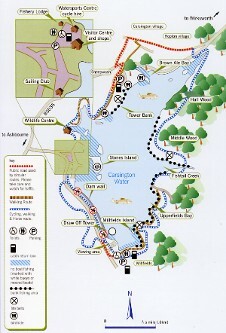 Carsington is 750 acres of open water, stocked with both Rainbow and Brown Trout. The water is stocked weekly and takes place throughout the season which runs from Saturday the 22nd of March to Sunday the 19th of October. There are 20 boats on Carsington and they can go out at 8.30am and be back at Sunset. There are two miles of bank fishing at Carsington with 1.5 miles on the East Bank and half a mile on the West side of the water.